Learn about the capsule dosage forms-Types of capsules as Hard Gelatin Capsules, Soft Gelatin Capsules, Modified Release Capsules and Enteric Capsules. 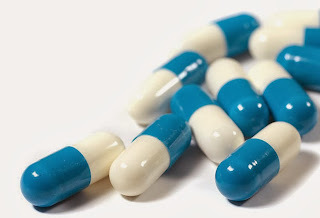 Capsules are solid pharmaceutical dosage forms in which the drug or a mixture of drugs is enclosed in a Gelatin Shell or any other suitable material to form various shapes. Capsules generally contain a single dose of active ingredients and are taken orally. Excipients such as opaque fillers, antimicrobial preservatives, sweetening agents, permitted flavoring agents and one or more coloring agents may be added. Capsules may be printed on the outer surface. Capsules may contain medications in solid, paste or liquid forms. The API filled in the capsules may contain excipients as solvents or fillers but the shell should not be attacked by the content thereby releasing the contents of the capsule. The contents of capsules other than Modified-release (Sustained-release) do not contain any added coloring agent. Hard gelatin capsules contain the active ingredients in the form solids. When two drugs of different properties are added in a capsule, one of them should be in the form of the tablet, pellet or small capsule and then enclosed in the large capsule. Hard gelatin capsules are manufactured by dipping capsule shell shaped pins into liquid gelatin solutions, after that gelatin films on the pins are dried, trimmed, and then removed from the pins. Body and cap pieces are supplied unlocked. Soft gelatin capsules made from gelatin (sometimes called softgel) are somewhat thicker than that of hard gelatin capsules and may be plasticized by adding the sorbitol or glycerin. The ratio of plasticizer depends upon the environmental conditions as well as the nature of the contents filled into the soft gelatin capsule. Like hard gelatin shells, the composition may include approved dyes and pigments and preservatives. Flavors may be added and up to 5% sucrose may be included for its sweetness and to produce a chewable shell. Soft gelatin capsule shell generally contains 6% to 13% of water. Soft gelatin capsules are generally filled during their formation and sealed with machines. Soft gelatin capsules generally contain liquid or solid drugs dissolved in suitable liquids to form a paste. In some cases, granules and powders may be filled with the soft gelatin capsules. Modified-release capsules are hard or soft gelatin capsules in which the contents or the shell, or both are prepared by a special process to modify the rate of releasing the active ingredients of the capsule. Enteric Capsules are hard or soft gelatin capsules those are resisted against the gastric fluid but dissolves in the intestinal fluid to release its contents. During manufacturing, packaging, storage and distribution of capsules, their microbial quality should be maintained as per their acceptance criteria because of the possibilities of microbial growth in gelatin. i want calibration of tablet compression machine & sops of all production eauipents. plesae send to my mail adress is sasank.b.kumar@gmail.com as early. thank u sir. All SOPs are available on the website, you can read. Greetings sir...I want to study about chemical testing of dry powder injuctions like ceftriaxone,sulbactum,tazobactum,meropenem but I am not getting it in pharmaguideline so please help me..